Strumpshaw Fen Deer Get Cocky! 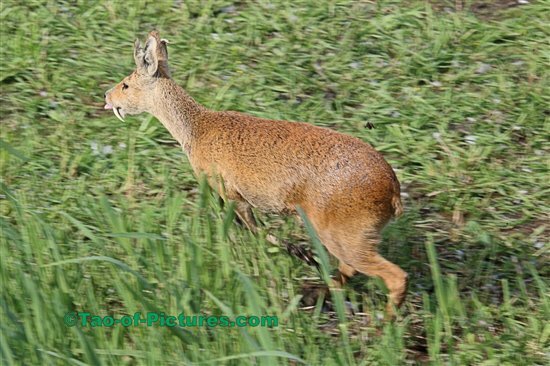 This male Chinese Water Deer was spotted just in front of Tower Hide last Friday (6/6/15) but didn't want to be photographed. He rushed passed the hide and cheekily stuck out his tongues at the photographer!